Easily create a complete mopping system with these buckets. Cleanroom foam swabs for precision cleaning applications. Cleanroom foam wipers ideal for class 3 medical device cleaning applications. Designed for heavy duty cleaning applications where absorbency or liquid delivery is critical. Provides a safe and clean packaging barrier for sensitive products. Scrubbing tool to remove process residue from vacuum chambers. Unique tool used for safer and more efficient scrubbing of hard to reach areas throughout vacuum chambers. ESD Safe swabs for precision cleaning of static sensitive components. 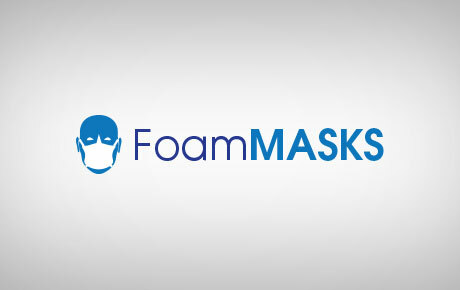 Class 100 Fiber-free face masks for cleanroom facilities. Super strong cleanroom foam wiper with tear resistance, sponge like absorbency properties. The VOC Free cleanroom microfiber wiper for ISO Class 3 or higher cleanrooms. The premium cleanroom microfiber wiper for ISO Class 3-5 equipment cleaning applications. PharmaMOP® - The ultra-lightweight, all surface cleanroom mop for ceilings, walls & floors. PharmaMOP® GO- The hands-free, cleanroom mopping system. Polyester and micro-fiber based, clean room-grade cloths and reticulated, clean room-grade foams. A unique tool used for safer and more efficient scrubbing of hard to reach areas throughout vacuum chambers. Constructed of black and white fabric for inspection and verification protocols in cleanrooms. Constructed of a black fabric designed for cleanroom inspection and validation protocols. Lightweight, knitted-wiper constructed and processed to meet clean room requirements. Cleanroom fabric over foam construction for use with aggressive solvents such as acetone. Sahara Buffing Pads are a specially cross-linked ester, polyurethane foam designed to be compatible with random orbital tools. ScrubCLEAN® abrasive sponges are constructed from plastic particles that are adhered to the sponge with a polyurethane polymer, making them ideal for applications where it is critical to reduce particles and fibers generated by the abrasive surfaces. Vacuum Chamber ScrubKITS® allow Equipment and Process Engineers to strictly control the items used to PM Vacuum Chambers. ScrubTIPS® are unique cleaning tools that combine Foamtec International's Swab and ScrubPAD technology. The next generation cleaning validation swab. Cleanroom foam mop heads designed for the Perfex TruCLEAN™ Mopping System. Ideal for wet mopping procedures in sterile and controlled environments. High density foam mop heads designed for heavy duty applications on the Perfex TruCLEAN™ Mopping System. Cleanroom foam mops designed for the Contec VertiKlean® mopping system. Designed to resist ripping and snagging on cleanroom surfaces. Snag-Resistant cleanroom foam mops designed for the Micronova Slimline® mop handle. Cleanroom sponge mop head refill designed to fit on Roll-O-Matic® brand handles to be used for wet mopping procedures in sterile and controlled environments. Highly absorbent, constructed from a naturally reticulated, hydrophilic, polyurethane foam. Highly absorbent wipers that combine excellent ESD characteristics for ISO Class 5-7 cleanrooms. Sponge like absorbency, excellent particle pick up and ISO 10993 biocompatibility for control of foreign materials in medical device cleanrooms.